Of late Sharon Robinson has served as an accompanying vocalist for Leonard Cohen on his immensely successful world tour. Beginning in October, she will step onto the concert stage on her own behalf, embarking on her first headlining tour to date with a string of West Coast engagements. 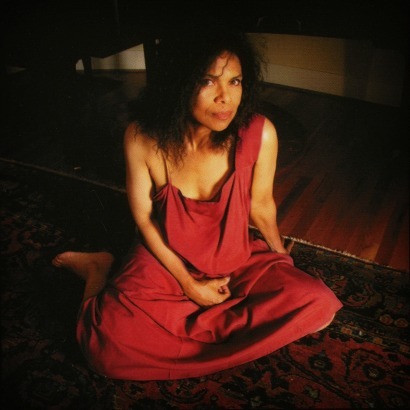 Long distinguished in the music industry as a GRAMMY®-winning songwriter and producer—and this is supplement to nearly three decades of collaborative work with Cohen, their creative partnership peaking with 2001’s masterful Ten New Songs—Robinson established herself as a recording artist in her own right in 2008 with her debut album, Everybody Knows. Striking an eclectic balance of jazz-inflected soul, eloquent songcraft and Robinson’s suave and sophisticated vocals, the album earned both critical and popular acclaim. It was released in the early phase of what would amount to a nearly-three-year tour with Cohen, however, and thus benefited from only minimal publicity and promotional appearances. Nevertheless, the album ultimately fulfilled the promise of Sharon Robinson's rich, multidimensional talent. “I was looking for a sound that was mine,” she said to this writer of Everybody Knows. “I had to dig deep to find it, but at the same time, it felt very natural. It feels like the kind of music that I like, what I want to put out there.” Now the opportunity is hers to do so in person.